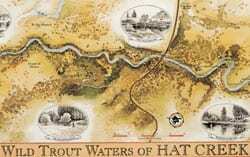 History | California Trout, Inc. 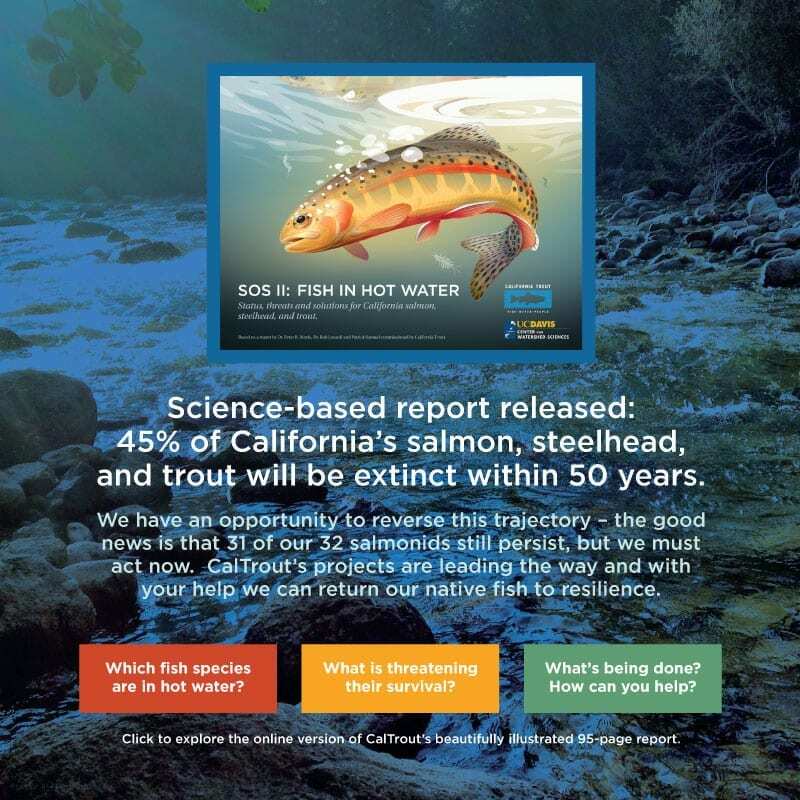 Concerned about deteriorating fishing conditions throughout the state, a passionate group of anglers founded California Trout in 1971. 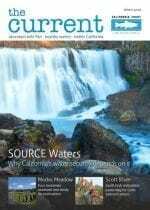 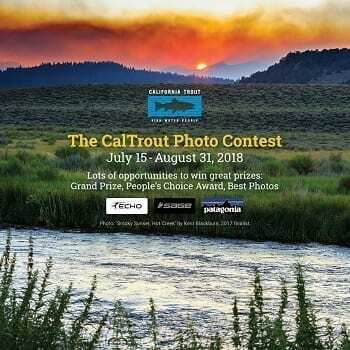 CalTrout was the nation’s first statewide conservation group supported by trout and steelhead fishermen. 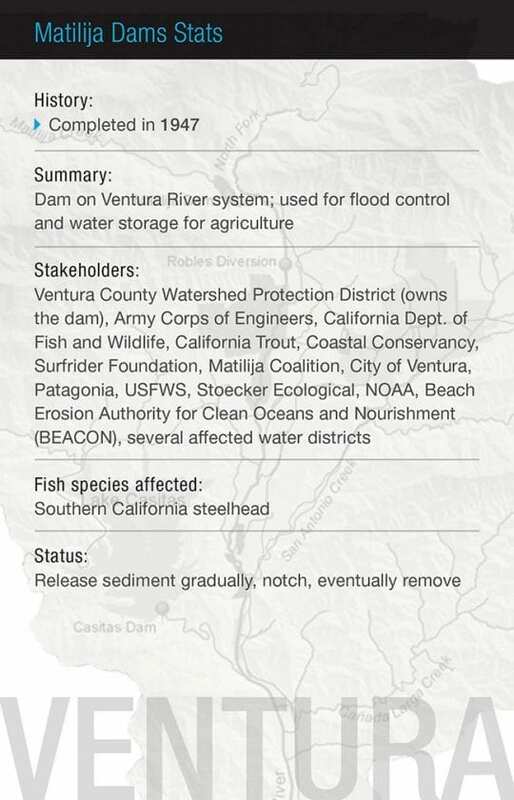 They had a simple mission: to protect and restore wild trout and steelhead waters throughout California. 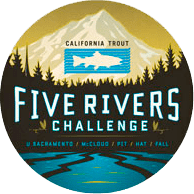 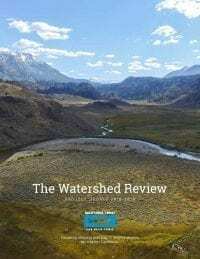 By 1972, the organization had acquired a few hundred members and delivered two landmark victories: The California Wild Trout Program and The California Wild and Scenic Rivers Act. 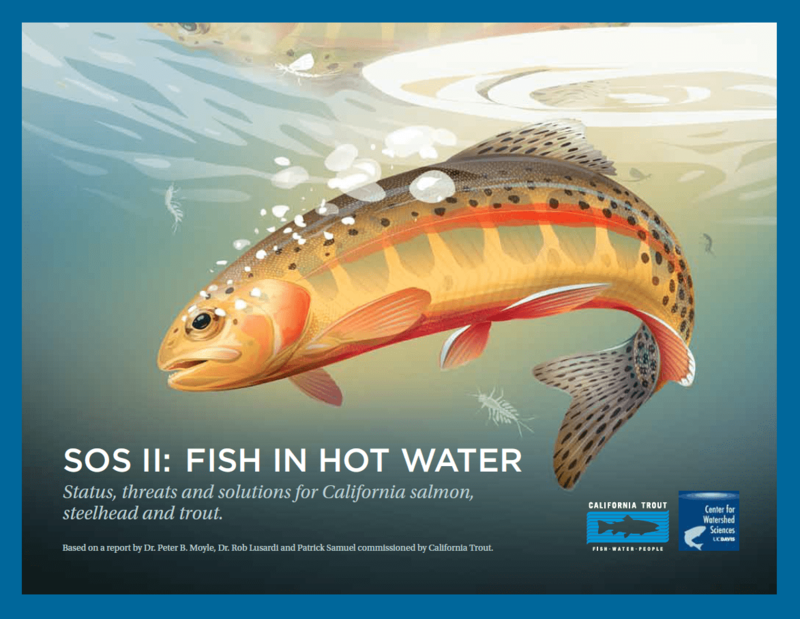 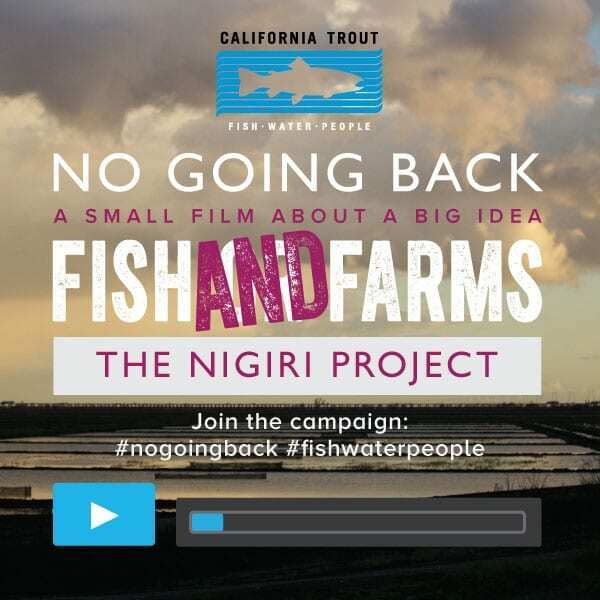 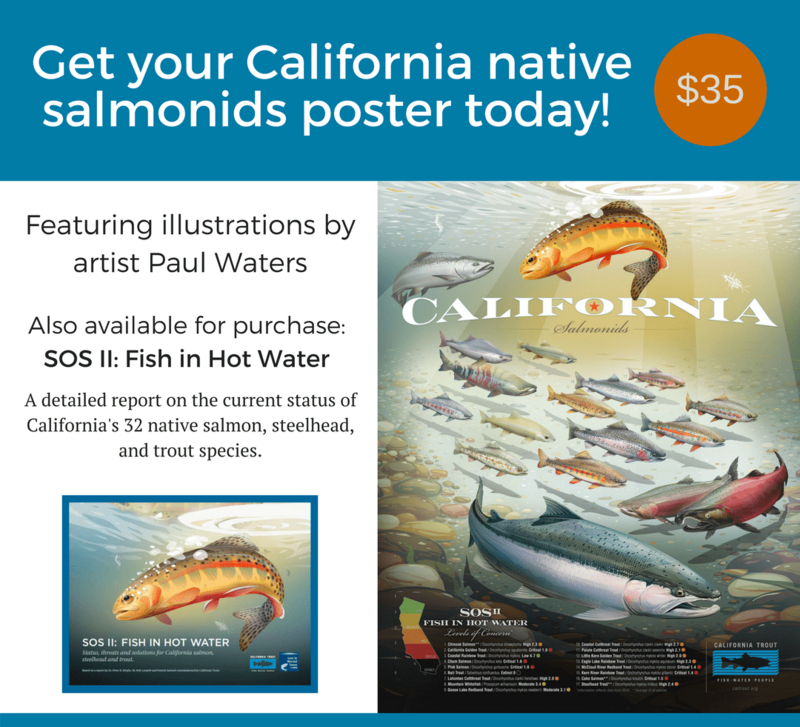 This program was established in partnership with the California Department of Fish and Game (now the California Department of Fish and Wildlife) to protect and enhance quality trout fisheries sustained by natural reproduction. 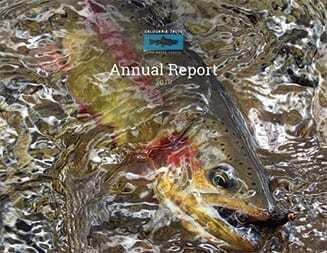 The Program now protects over 1,000 miles of wild trout streams. 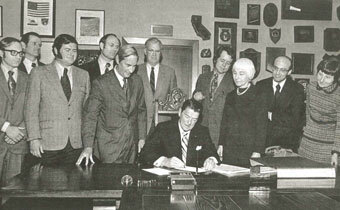 This act was formed to preserve designated rivers possessing extraordinary scenic, recreation, fishery or wildlife values. 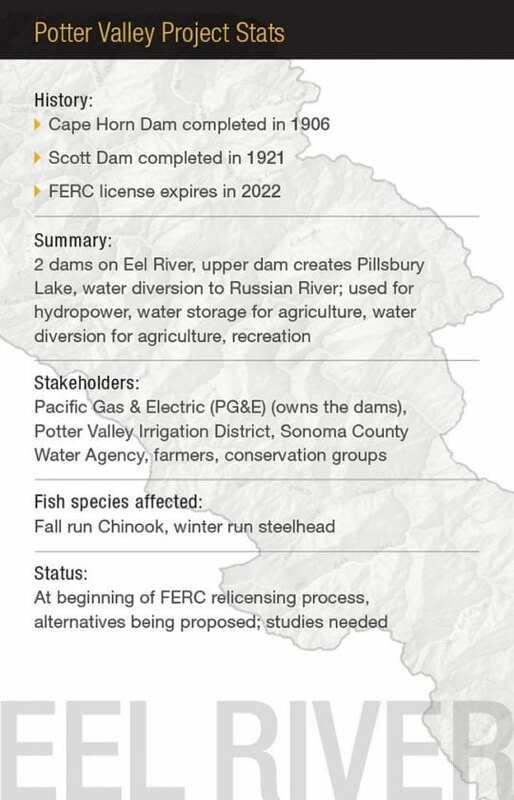 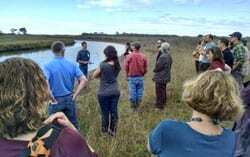 Today it permanently protects 1,800 miles of free-flowing streams. 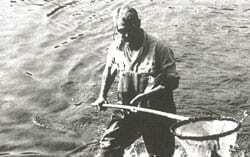 These early successes helped CalTrout gain public recognition and the organization began to grow. 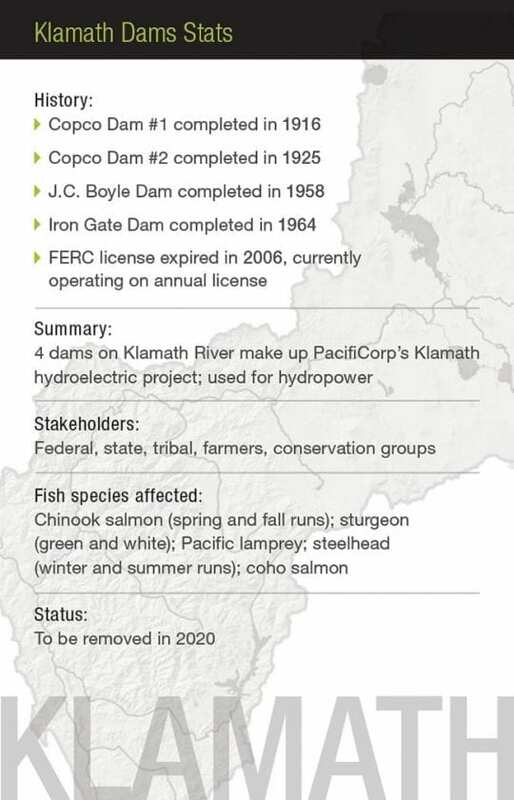 With growth came professionalism, a full-time staff, field managers, increased membership, and of course, ongoing accomplishments. 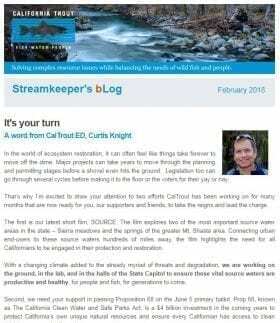 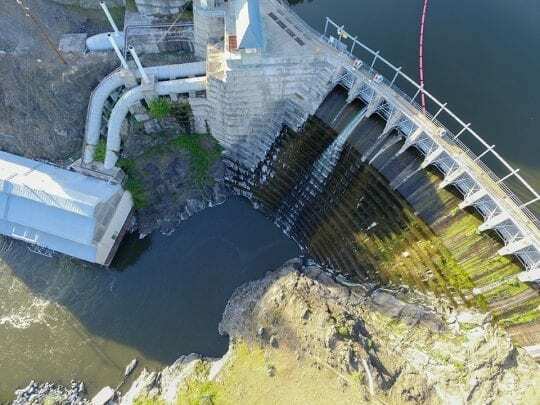 As the state has grown and the fight for resources has become ever more complicated, CalTrout strives to solve the state’s resource issues while balancing the needs of wild fish and people.